Children come in contact with germs from many places, including interactions with their parents, other adults, siblings, other children, places outside the home and places within the home. Immunizations help protect infants, children and teens against many infections that can cause serious or life-threatening illnesses or disabilities. Some parents worry vaccines are not safe, and may harm their baby or young child. However, the Centers for Disease Control and Prevention (CDC) Immunization Safety Office identifies possible vaccine side effects and conducts studies to determine whether health problems are caused by vaccines. Data show that the current U.S. vaccine supply is the safest in history. The American Academy of Pediatrics recommends that kids get combination vaccines (rather than single vaccines) whenever possible. Many vaccines are offered in combination to help reduce the number of shots a child receives. Below is a list of vaccinations that are recommended for infants and young children. The CDC offers a vaccination schedule as a reference guide, but parents should talk with their pediatrician about the right vaccinations and schedule for their child. Henry Ford Health System, Wayne State University, and the Detroit Health Department have teamed up to offer free immunization fairs in Detroit. 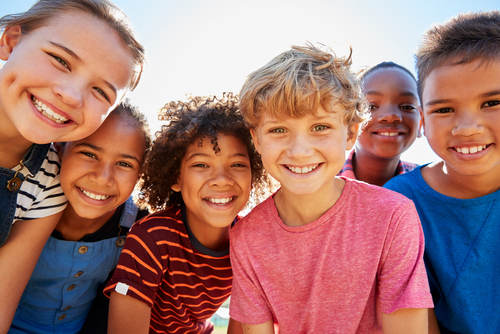 As part of the Vaccines For Children program, children who are less than 19 years old, uninsured, underinsured, Medicaid eligible, American Indian or Alaskan Native are eligible to receive the recommended vaccines at no cost. For more information or questions related to these immunization fairs, please contact Chanel Killebrew at ckilleb1@hfhs.org.